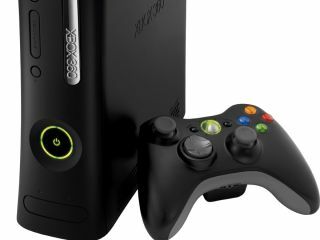 Microsoft is planning a price cut for the Xbox 360 in the United States. That's according to a retailer who spoke to the Hollywood Reporter. The Xbox 360's $50 (£25) price cut is planned to go ahead on 8 August, the same day that the much-hyped game Bioshock is slated for release. The Hollywood Reporter claims to have harvested its information from a reliable source in the "retail world". Bioshock is one of the year's most hotly-anticipated games. Microsoft is probably hoping that the discounted price of the console, coupled with the game's release, will spur on a resurgence of interest in the Xbox franchise. When asked to comment, a Microsoft spokesman apparently said: "We have no announcements to make on pricing at this time. While price matters, content is king. And no other system is offering all the games people want to play this holiday at a better price than Xbox 360." There is no word on which versions of the Xbox 360 will get the price cut. There are currently three incarnations of the Microsoft console: the Core, the Premium and the Elite. One would assume that the Premium would get the cut, but that would leave a big price gap between it and the Elite. Nor is there any information available on whether this re-pricing strategy will be extended across the water to the UK and Europe. One thing is for sure, the price cut has been anticipated for some time and there is no real reason to suspect that this inside information is not legitimate. Companies will always deny forthcoming price cuts for fear of harming sales in the lead-up to the discount date. So Microsoft's denial is no real surprise at all.